At the feet of the antique village of Montecarlo, in the suburb of S. Giuseppe, is sited “ CORTE PINCIONE”, courthouse that goes back to the beginning of the XVII century, entirely renewed two years ago, but keeping the fascine of its time. You can reach the courthouse through the treelined road indicated by a wooden sign having the number 120 painted on it. 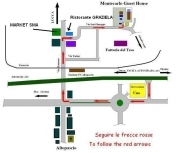 You’ll get to a spacious large square where you can park your car and let your children play free, far from the main road (street s. Giuseppe). Interior layout :3 bedroom(s), 2 bathroom whit 2 shower room, living room, kitchenette, cosy nook, tv sat. Sleeps - bed(s) :2 full bed(s), 1 sleeper sofa(s) 2 pers, 2 twin bed(s), 1 bunk beds, 1 guest folding bed(s) 1 pers, 1 baby cradle. 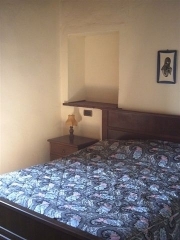 Guest facilities : Fireplace, T.V., DVD player, cable/satelite, wifi (wireless internet access), wardrobe, partly air-conditioned, central heating.